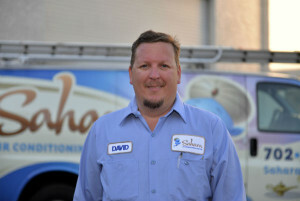 The heating and furnace repair professionals at Sahara Air Conditioning are HVAC experts with years of experience diagnosing and fixing broken furnaces. For over 30 years, Sahara Air Conditioning & Heating has been the go-to company for both residential and commercial heating repair in Las Vegas and all of Clark County. For your peace of mind, all of our work comes with a 100% money back guarantee. When your furnace breaks down, and you need a repair, you’ll want the expertise of a fully licensed, insured and experienced contractor – our NATE certified HVAC techs will quickly diagnose and repair your furnace, keeping your family warm and comfortable all winter long. We guarantee that you will be completely satisfied with your new system and our repair services. During the first year of your installation if you feel that we have fallen short of our promise, we will happily refund your entire purchase price and remove the system. Committed to excellence in system replacements and repairs, we warrant all our work and offer a lifetime guarantee on qualifying installations. We are so confident that you’ll love each aspect of our HVAC service that we offer excellent guarantees in addition to the manufacturer’s warranty. Does your old system need to be replaced? It may take a system efficiency analysis to tell. After all, you may just need repairs and regular maintenance work. If your system needs to be replaced, we’ll help you choose the right system. Then we’ll install the system and make sure it runs perfectly. We provide outstanding warranties on all of our work.